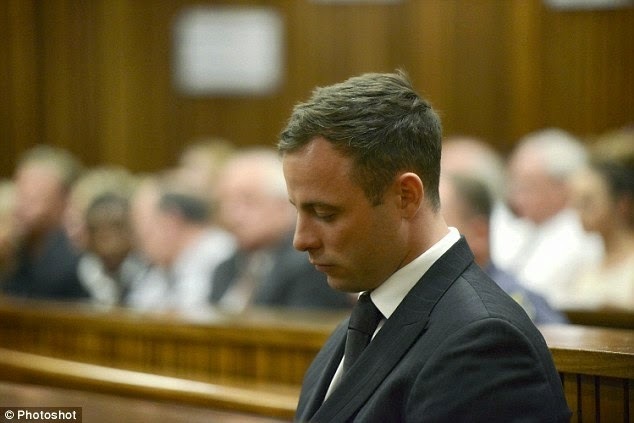 Prosecutors will appeal the verdict and sentencing of Oscar Pistorius, officials have said, raising the prospect that his conviction for culpable homicide could yet be upgraded to murder. There was a public outcry when Judge Thokozile Masipa found Pistorius guilty of culpable homicide – the South African equivalent of manslaughter – for killing his girlfriend Reeva Steenkamp on Valentine’s day last year. She said there was no reason to doubt the Paralympian’s claim that he mistook Steenkamp for an intruder and did not intend to kill anyone when he shot four times through a locked toilet door. Anger intensified last week, including among campaigners against gender violence, when Masipa sentenced Pistorius to five years in prison, especially because he could be eligible to switch from jail to house arrest after just 10 months. The women’s league of the governing African National Congress said at the time: “It is the organisation’s view that an appeal is in the interests of justice, as well as to send a strong message to the public that crimes against women should carry the maximum penalty. It is thought that the state will argue Masipa misinterpreted the law around dolus eventualis murder, which means a perpetrator objectively foresees the possibility of his act causing death and persists regardless of the consequences. She ruled that this did not apply to Pistorius, although he was grossly negligent. Weekend reports in South Africa suggested that the chief prosecutor, Gerrie Nel, is gearing up for round two. The Sunday Times said he would meet NPA head Mxolisi Nxasana on Monday. “Nel has already consulted outside legal experts,” the paper noted, adding that an appeal process would be scheduled to start on 3 November. An appeal by the state against a verdict can only be made on a matter of law and does not involve a retrial or the submission of any new evidence. It is assumed the case will be heard by the supreme court of appeal in Bloemfontein in Free State province. The double amputee is broke and still owes his lawyers 10m rand (£565,800). His legal team has been representing him free of charge for at least two months, the paper added. It is not clear if the team will work on the appeal.